The start of the season is approaching fast! Reserve your spot now at the new & improved Keltic Lodge Resort & Spa using our new Spring Stay & Play Package! 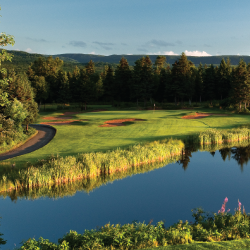 We have a Spring Stay and Play package available for the month of June and starts at $159.00 per person. It includes overnight accommodation in the cottage buildings, green fees and shared power cart. Upgrades to other room types are available at an additional cost.